Why is it that very rare birds fly into windows more than common birds? Why is it that cats catch Bullfinches, Goldfinches and Hawfinches in preference to Sparrows? Ryukyu Green Pigeon. I have only even seen two. Maybe this is evolution. These birds are rare because they have not worked out plate glass. Brown Headed Thrush. 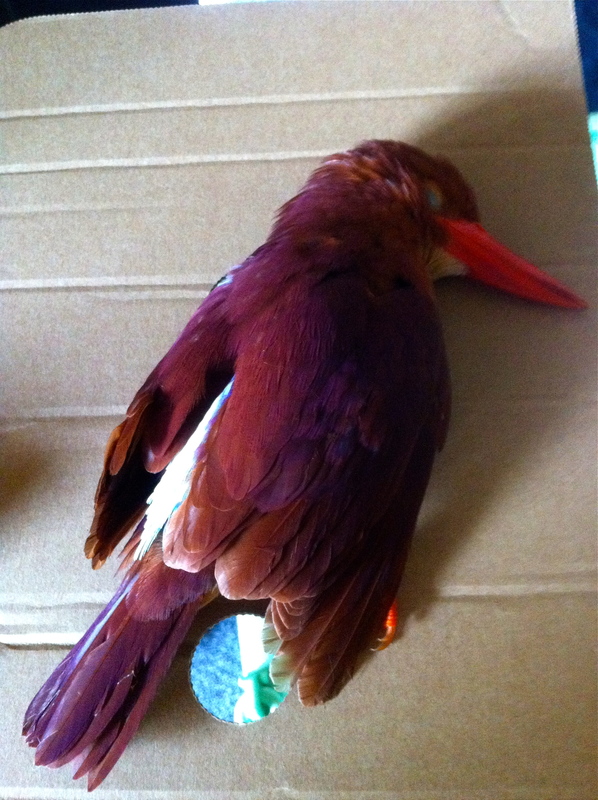 I have never seen this bird alive. Ruddy Kingfisher! I have seen 2. Nature red in tooth and claw and window.